If you were to ask a group of people for their favourite ice cream, you would get multiple answers and this is the beauty of the product. However, ask what ice cream gives the best value and a growing amount of people would say Gundowring Ice Cream. Why? Because, despite the company running out of a former shed, they have won multiple awards and accolades in their young 13-year history. When they enter competitions, the industry has come to expect them to win something and this speaks volumes for the brand itself. According to Sarah Crooke, she and her husband visited Pennsylvania State University in the United States in order to attend a highly-decorated ice cream course. Although it sounds a little like a fairytale, there is such as course to explain the various processes in making ice cream from flavour powders to temperatures, food dyes to stabilisers and emulsifiers. At one point during the course, Sarah lifted her hand into the air and said ‘what if we were to use fresh raspberries’; the rest, as they say, is history (despite the many strange looks they got during the rest of the course). Before they left to come back home, the lecturer actually pulled Sarah and Stephen to one side and shared all the knowledge they had on using fresh fruit within ice cream recipes. Now – At Gundowring, it is the definition of a family business with the Crookes being helped by their son and daughter-in-law. After opening up a factory in a former shed on their dairy farm, they started to produce the first products with a little help from 500 Holstein Friesan cows just outside. 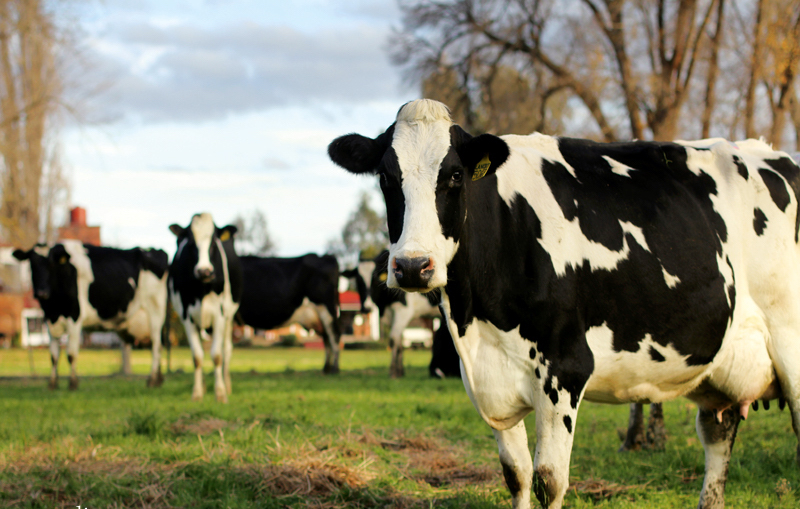 On the farm, the cows are free to roam 1,000 acres of beautiful land on the river flats of Kiewa Valley. Furthermore, we should also note that their location in northeast Victoria is also perfect for producing high-quality chestnuts, figs, rhubarb, green tea, hazelnuts, and wine. Despite having all the resources just outside the shed door, the Crookes still needed a plan and they decided upon quality and value as a unique selling point. Whilst other companies were using flavourings and various additives, the Crookes actually wanted a healthy ice cream with real fruit and flavours included. At first, the project would only take place in the evenings and on spare weekends. Just as they asked in the Pennsylvania ice cream course, they started with raspberries and perfected the recipe. Despite humble beginnings, it didn’t take long to visit the Melbourne Royal Show where they actually won the Champion Ice Cream award. Even with their growth in recent years, they promise to stick to their roots and use natural ingredients. According to the son, James, we are never going to see a Gundowring ‘Bubblegum’ flavour because they prefer to focus on value, high-quality, and natural ingredients.